We’ve seen tabloid headlines scream about “bad botox”. But then there are megawatt actors, like Game of Thrones’ Robin Wright, now 51, who credits the injections with helping her age beautifully. What gives? Frozen is fine if you’re talking ice cream or blockbuster musicals. But when it comes to cosmetic use of botulinum toxin – often called botox – the goal is to work with patients to enhance their own appearance. Yes, they want to look more youthful – but they absolutely can still look natural and like themselves. And the good news is that ongoing use has been shown to be safe and effective. While celebrity newsfeeds may fall back on botox, increasing numbers of regular folks have turned to the wrinkle-reducing shots, approved by the Food and Drug Administration in 2002. It’s evolved. 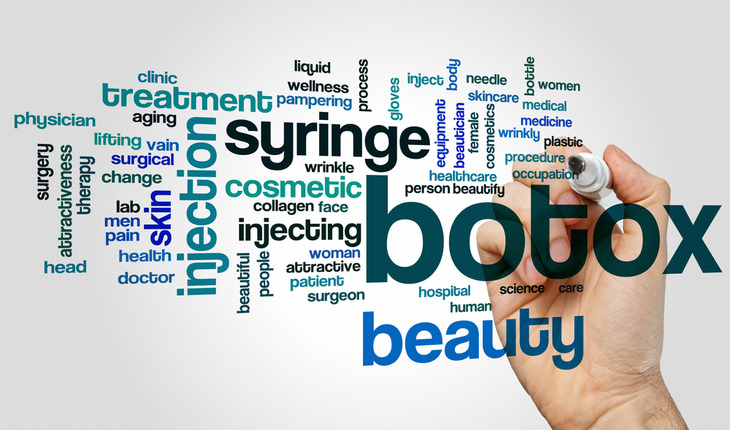 Today, botox is – by far – the most common elective cosmetic procedure. It offers a minimally invasive way to smooth a furrowed brow – as well as the laugh lines and other creases that can accompany a life expressively lived. What we’re seeing in recent research is that most patients – both first-time and repeat – are remarkably satisfied. In 2016 alone, according to the American Society of Plastic Surgeons, there were more than seven million procedures – a jump of almost three million since 2006. “We’ve seen increased options and techniques to support an individualized approach for each person. Botulinum toxin’s use has expanded significantly since the 1980s, when a Canadian ophthalmologist treating eye problems stumbled upon its power over wrinkles. At this point, we have three cosmetic forms on the market, under different brand names, like Botox®, Dysport® or Xeomin®. The thing is, each has distinct specifications, like dosage – which is just one reason that the doctor’s knowledge base is crucial for patient satisfaction. Know what botox can – and can’t – do: Botulinum toxin works by limiting muscle movement. By carefully targeting certain muscles in the face, we can reduce the wrinkles they cause – “dynamic” wrinkles. Other wrinkles, for example those caused by the sun, may see some improvement, but they aren’t the focus. Talk with your doctor to make sure you’re using the best procedure for you. Choose your doctor carefully: It goes without saying, no two people are the same. But it’s worth repeating when it comes to our faces, which are complicated. The face has more than 40 muscles alone. Add in an individual’s unique muscle mass, bone structure, and skin characteristics, and it underscores why these injections require real expertise. Stay flexible regarding follow-up treatments: The injections’ effect is temporary, usually about three to six months. But patients should be aware that ongoing use may help the effects last longer. Making adjustments can support a consistently natural look. To start, consider a conservative approach: Botox has expanded from the forehead to other areas of the face, which is great because it increases patients’ options. At the same time, though, it’s helpful to be aware that certain parts – like the lower section of the face – are more complex. Starting with lower doses can avoid overdoing it. More can be added later. Above all, your dermatologist can be an ongoing resource to optimize anti-aging approaches. It’s an exciting time, and we’re continuing to learn more about the potential that procedures like botox hold. Lance Barazani, M.D., F.A.A.D, .New York Magazine’s list of top doctors for 2016 and has also received recognition as a Castle Connolly Top Doctor and a NY Top Doctor.